You’re an air traffic controller at an increasingly busy airport; just point and drag aircraft to their landing zones with your mouse or trackpad. Sounds easy? It isn’t! You’ll need nerves of steel and smart strategy to keep the chaos under control. Flight Control HD has been especially redesigned for PC and Mac, with updated graphics and an even tougher new challenge – the Steam exclusive Stunt map where you can increase your score by flying through the gates before landing. 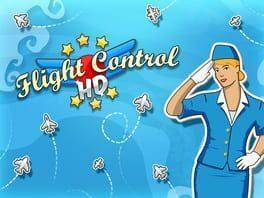 Flight Control HD is available from 3.99 to 3.99 from 1 shops.